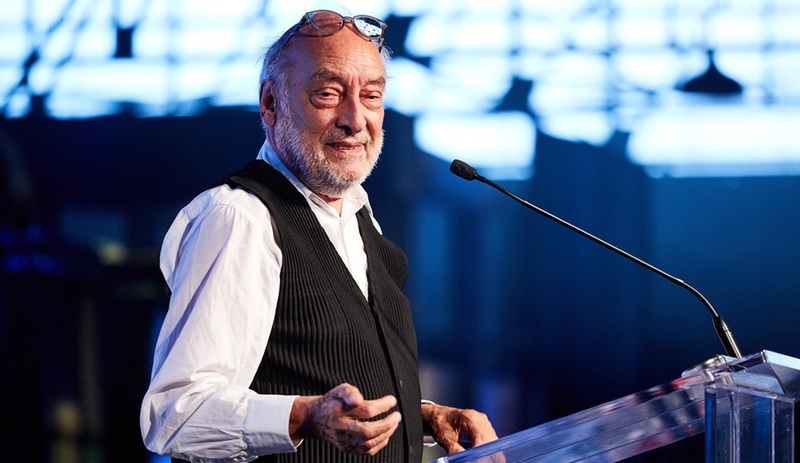 Guest of honour Gaetano Pesce delivered a special address at the opening of the ceremony. 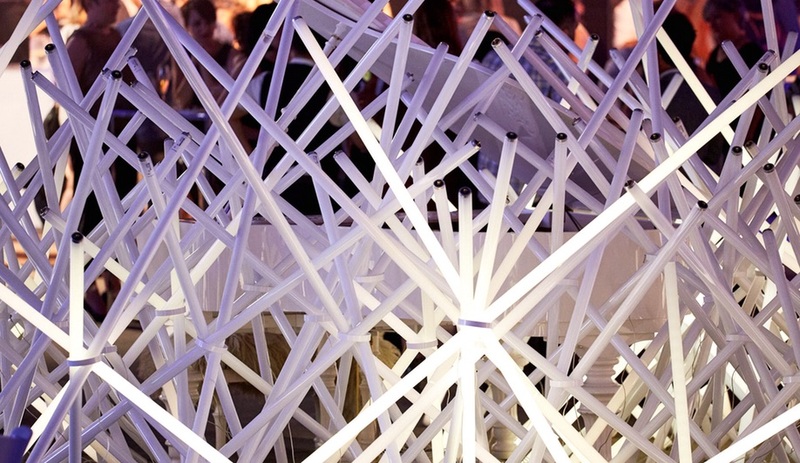 Castor's installation of fluorescent light tubes reacted to the music, lighting up to create an ethereal interactive display. 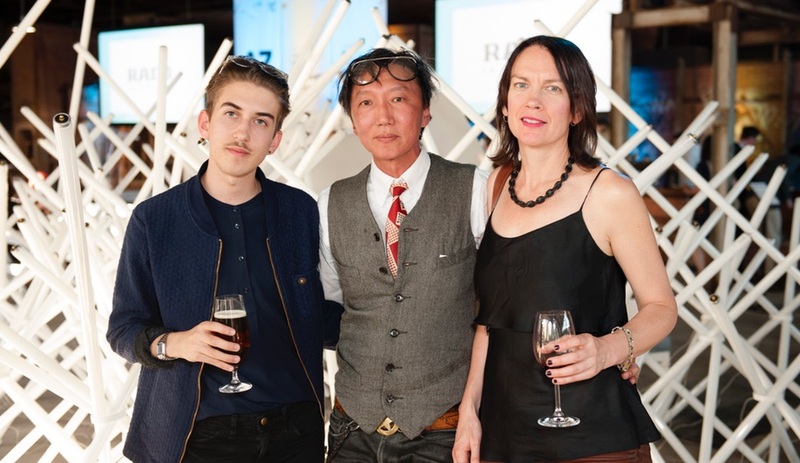 From left: Aden Solway, designer at Castor; and Kei Ng, co-founder and principal of Castor, with girlfriend Susan McNeill. 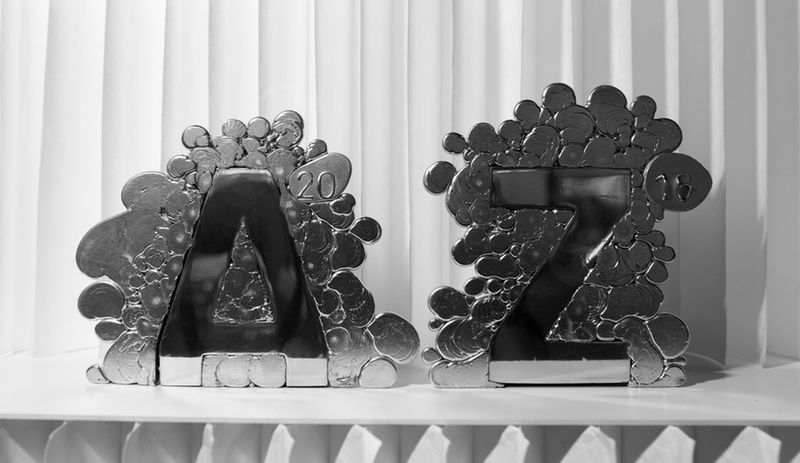 This year's trophies were designed by Omer Arbel and hand-cast by artisans at Bocci. 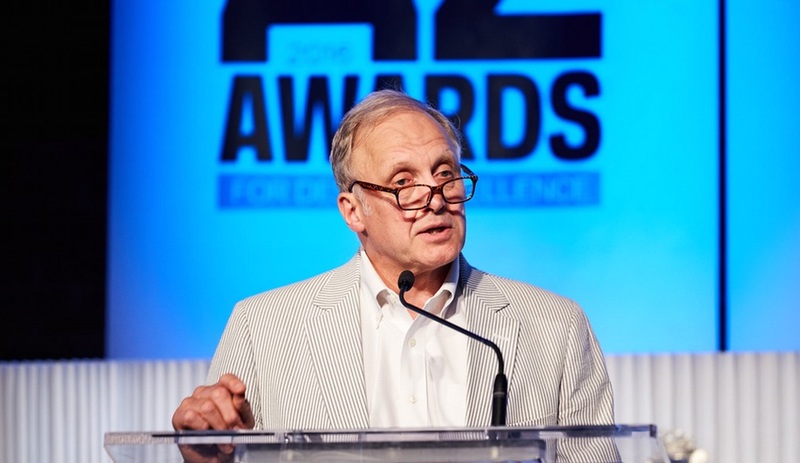 Award-winning author and journalist Ian Brown served as the evening's master of ceremonies. 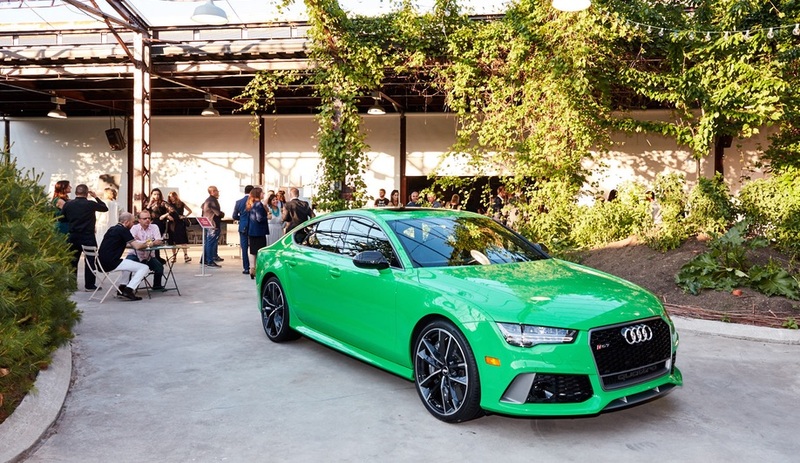 Audi showed off two of their latest models – including the RS7, which matched with the Brick Works' brilliant greenery. Representatives from Moss and Lam took home an AZ Award for Best Furniture. 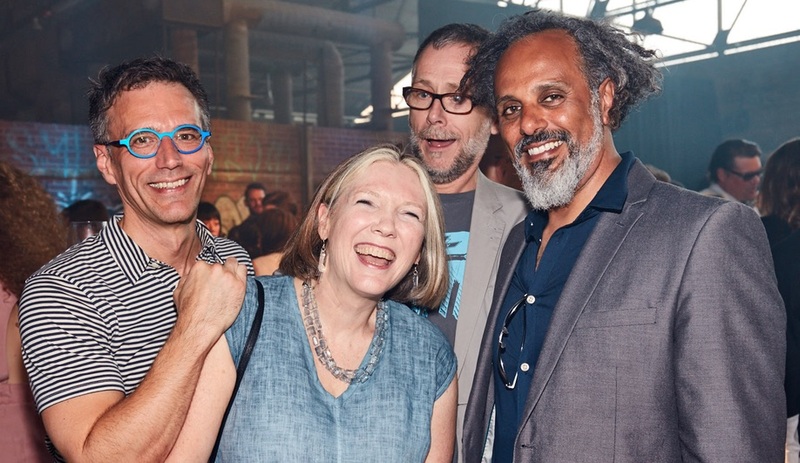 From left, Michael Sproule, studio and project manager; Deborah Moss, founder and artistic director; Jamie Stagnitta, director of operations; and Valmir Hajdaraj, lead sculptor. 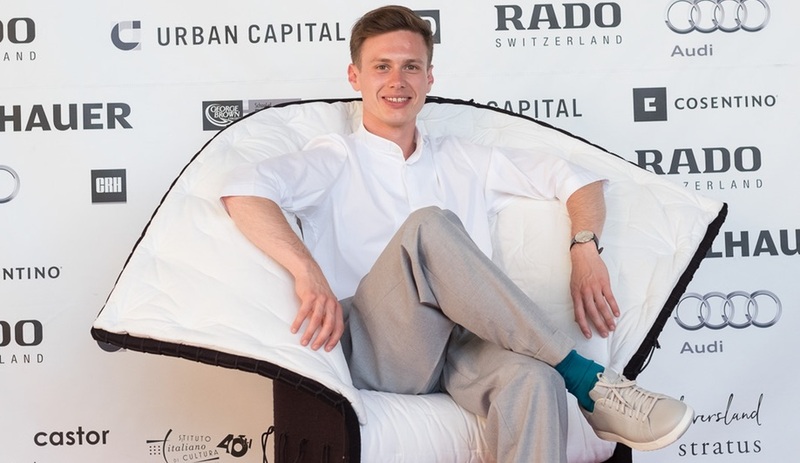 Jurgis Gecys, winner of the A+ Student Award, poses in the Pesce-designed Feltri armchair. 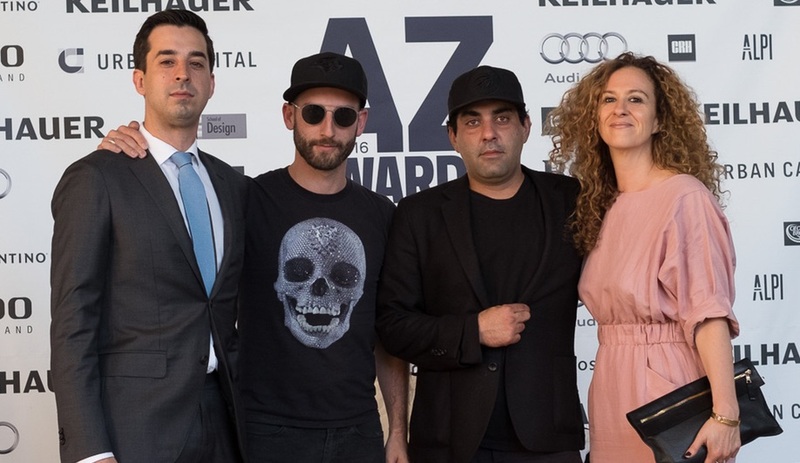 Partisans – led by Alex Josephson and Pooya Baktash (second and third from left) – won the award for Best Lighting Installation. At far right is Nicola Spunt, also of Partisans. 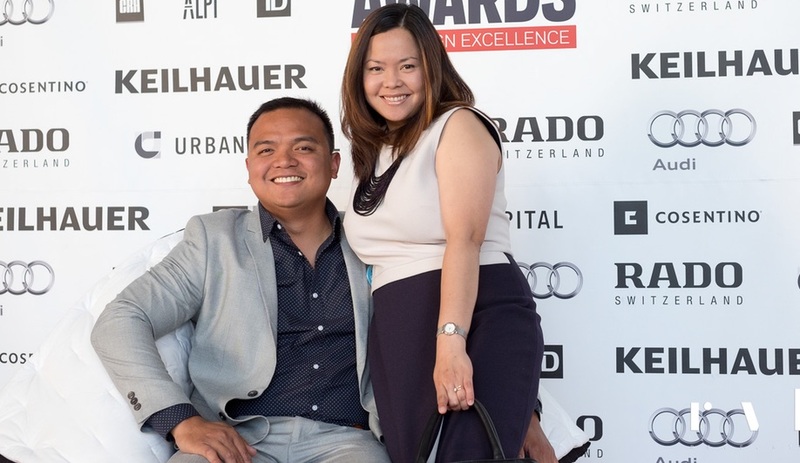 Kristoffer Paolo Aguila – the People's Choice in the A+ Student category – and his partner. 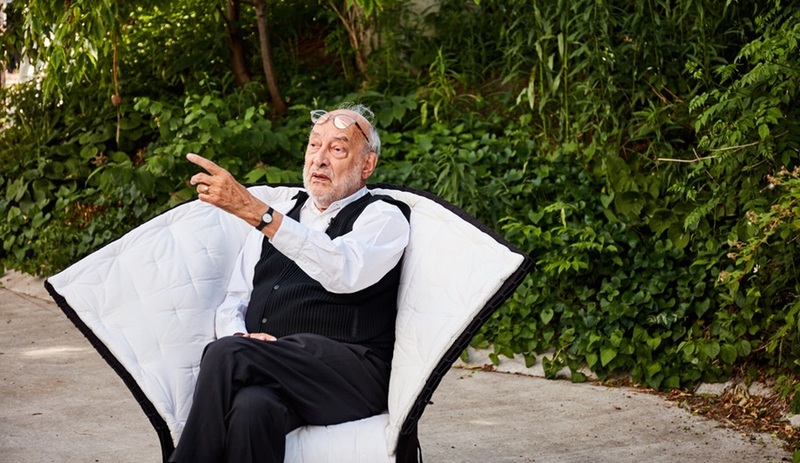 Gaetano Pesce in his Feltri chair, manufactured by Cassina. Crowds enjoyed sumptuous fare from Sud Forno and Stratus wines. 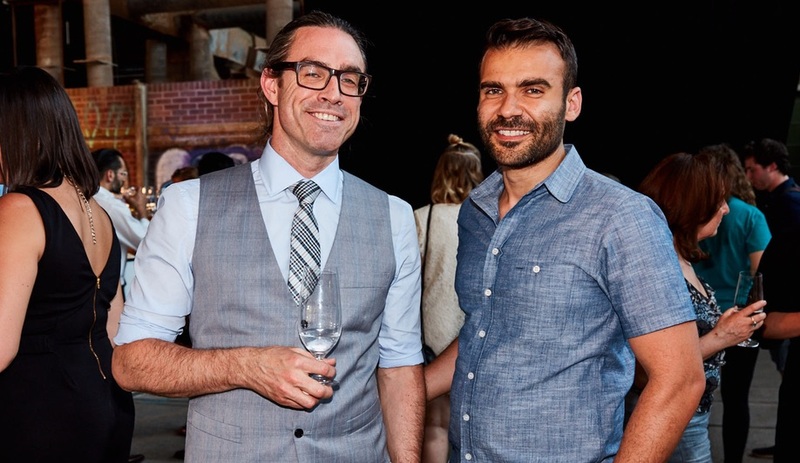 Christopher Rowe, sales lead at Herman Miller, with Mazen El-Abdallah, principal of Mazen Studio. Pianist Amy Seulky Lee delighted crowds on a grand piano from Robert Lowrey Piano Experts. MacKay-Lyons Sweetapple Architects were this year's winners for Best Prototype. From left: Brian MacKay-Lyons of MacKay-Lyons Sweetapple Architects; Brian Melcher and Ilana Altman of KPMB; and Renée MacKay-Lyons of MacKay-Lyons Sweetapple Architects. Photographer George Whiteside and Naomi Kriss of Kriss Communications. Phaedrus Studio of Toronto won the People's Choice in Commercial Interiors for designing the Odin Cafe. 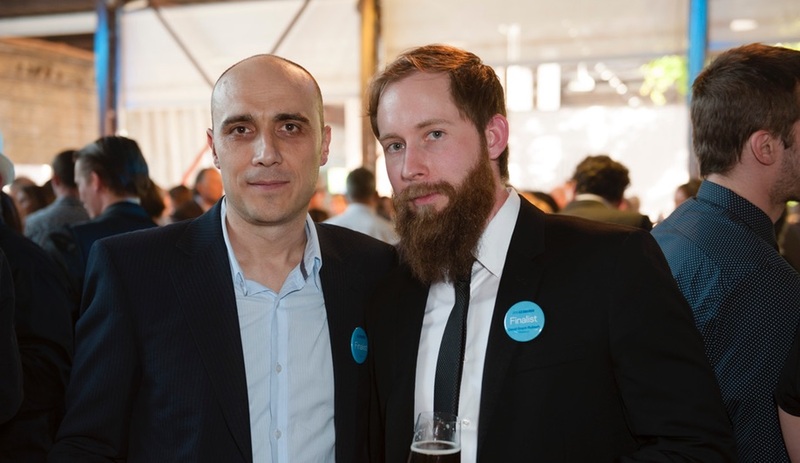 Here, from left: Sev Palazov, the project's architect of record; and David Grant-Rubash, principal at Phaedrus. 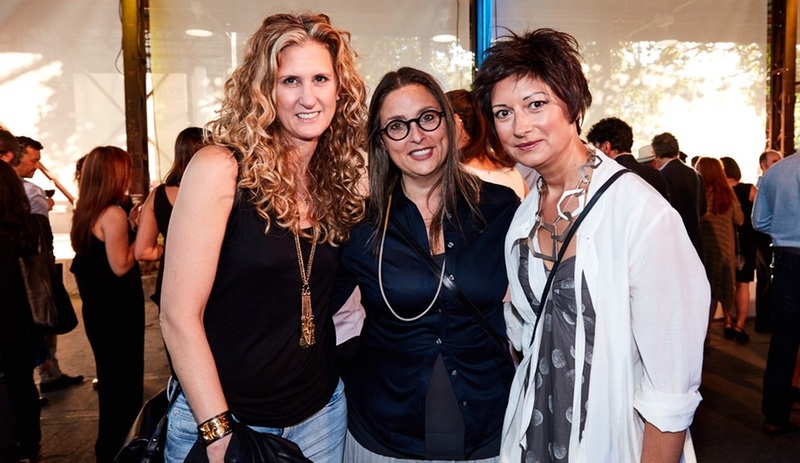 From left: Shauna Levy, president and CEO of the Design Exchange; Pina Petricone, co-founder of architecture firm Giannone Petricone Associates; and Luiza Alexa, president of Scavolini Toronto. 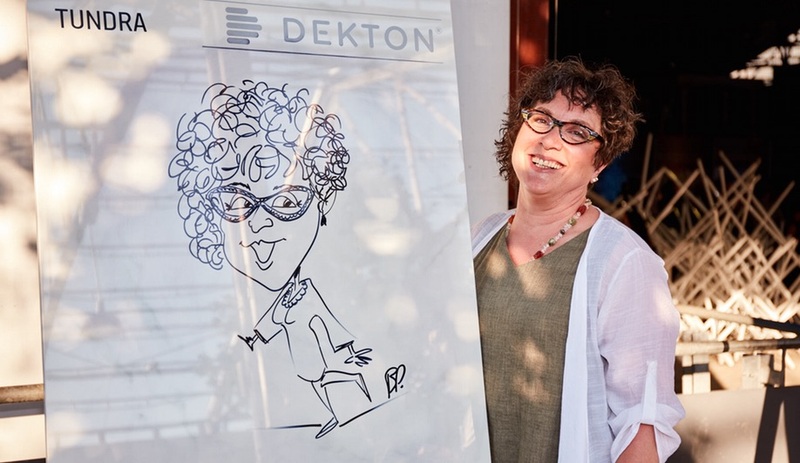 A Gala attendee with her caricature, sketched onto a display slab of Dekton by Cosentino. 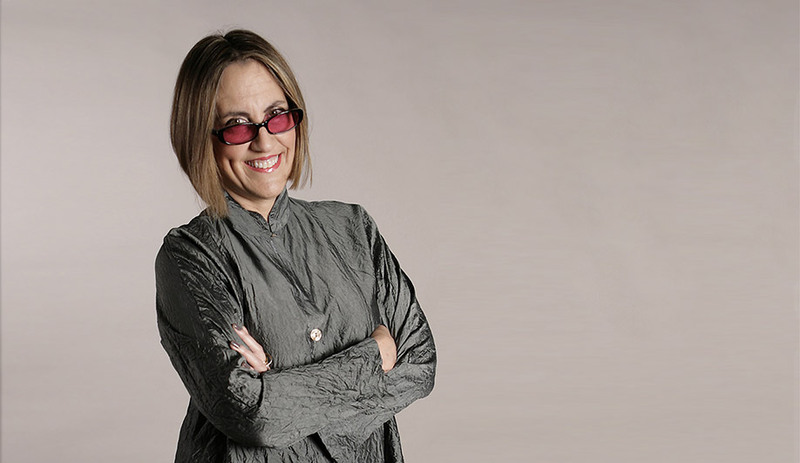 Lois Weinthal, chair of Ryerson's School of Interior Design, and interior designer Cindy Rendely. 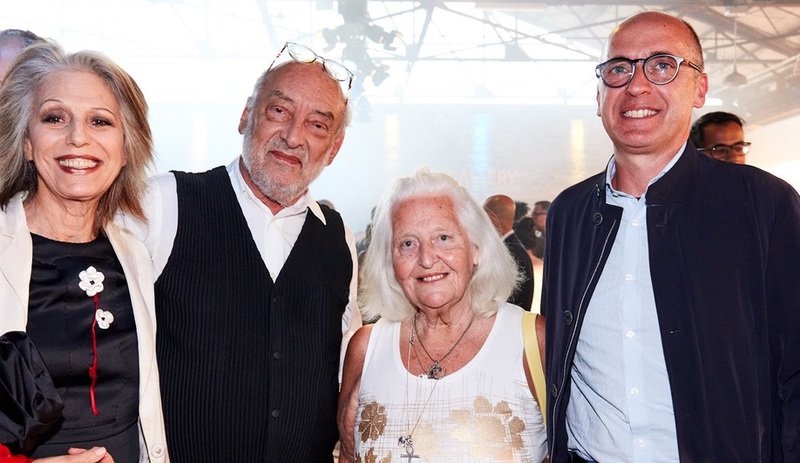 From left: Ruth Shuman, founder of Publicolor; Gaetano Pesce; Joyce Rashid; and Pierluigi Corti of Alpi. 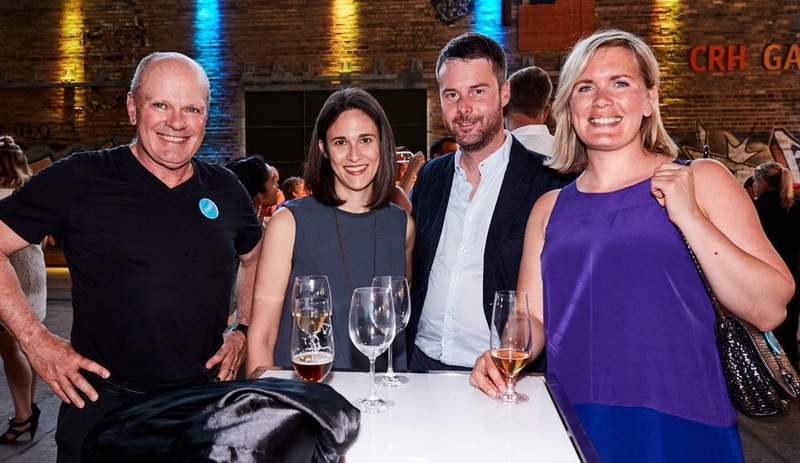 From left: Michel Arcand, principal at IN8 Design; Tracy Bowie of Informa, vice president of IIDEX Canada; Trevor Kruse, principal at Hudson Kruse; and Giuseppe Avesani, founder of Black Bread + Jam. 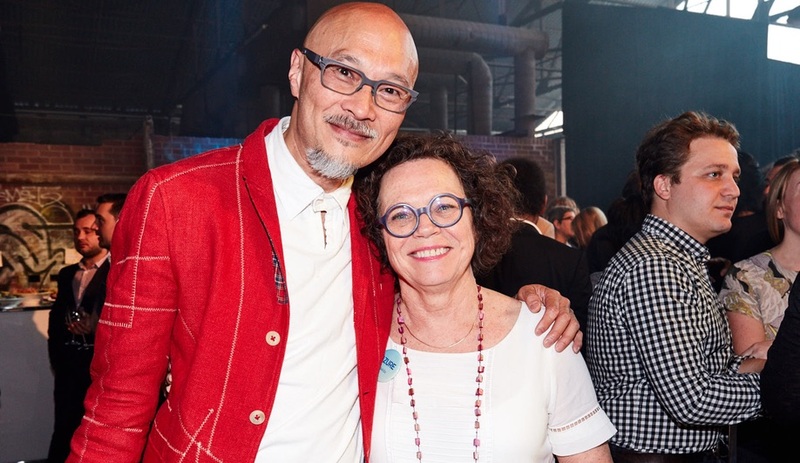 Designer John Tong, founder of +tongtong, with Azure co-founder Nelda Rodger. Guests were transfixed by Castor's stunning installation. 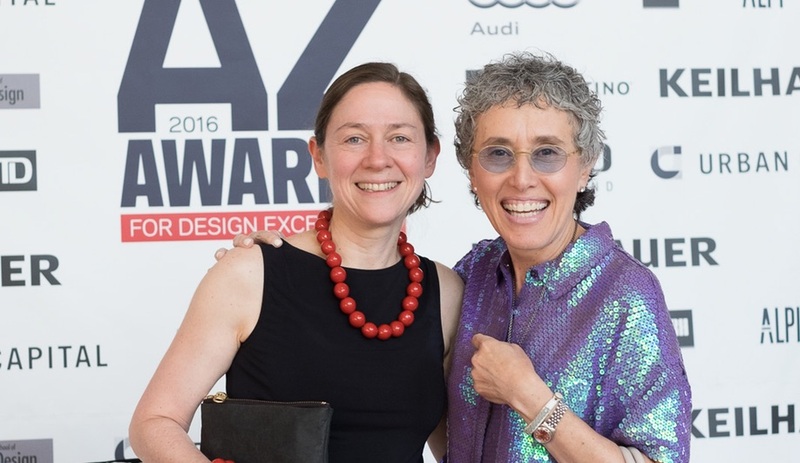 Allie Novack (left), development manager at the Design Exchange; and Nina Boccia, director of programs at the Design Exchange. 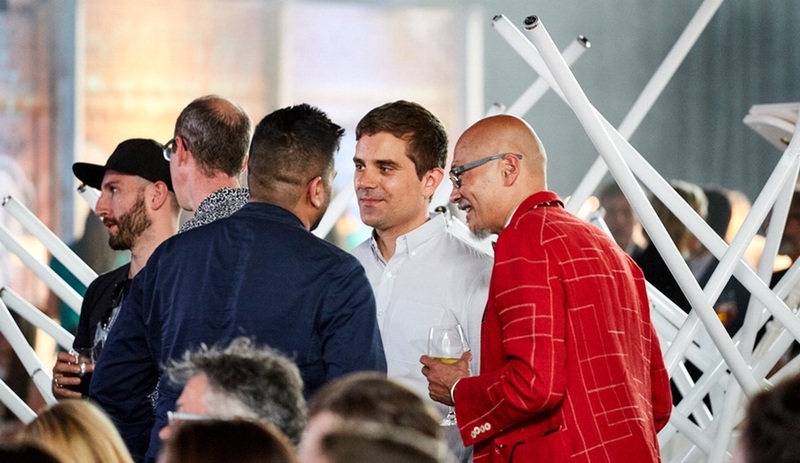 From left: Alex Josephson of Partisans, Mason White of Lateral Office, architect Omar Gandhi, architecture critic Alex Bozikovic, and John Tong of +tongtong. 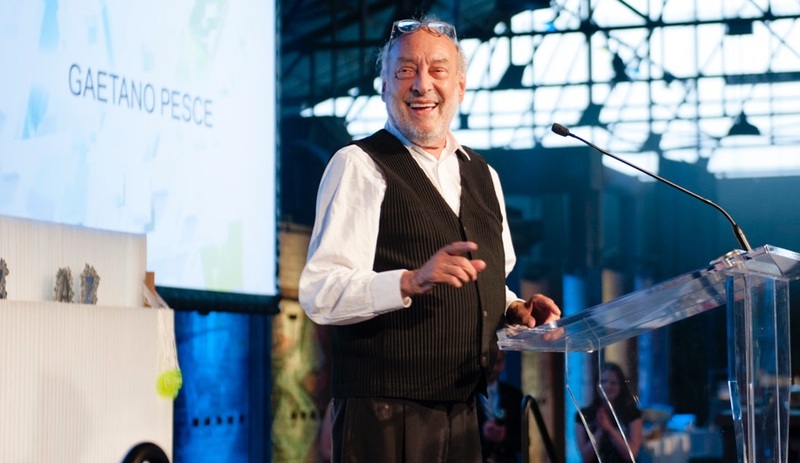 Gaetano Pesce kicked things off with some delightful opening remarks. 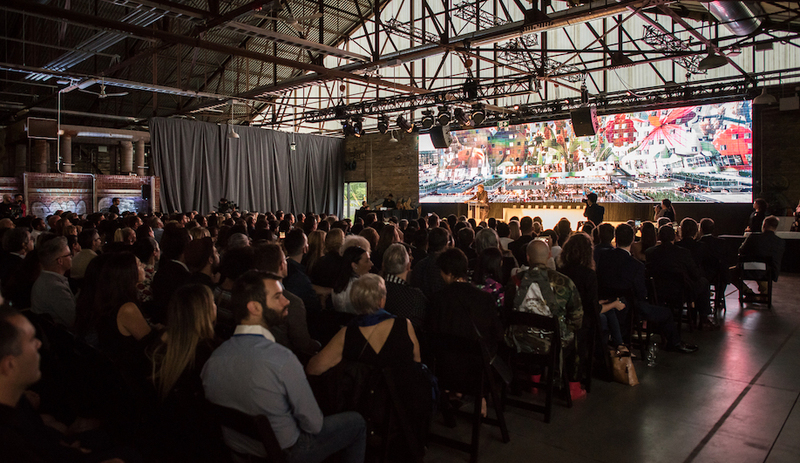 Standing-room-only audiences took in the awards ceremony. Ruth Shuman and Gaetano Pesce. Audi's R8 V10 Coupé drew crowds with its carbon-fibre detailing and laser lights. 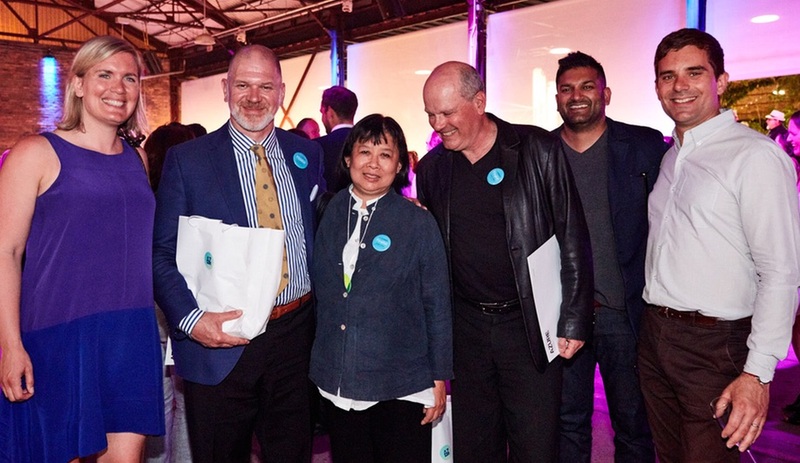 From left, Renée MacKay-Lyons; Chris Farano of the Wong Dai Sin Temple; Brigitte Shim of Shim Sutcliffe, who claimed the AZ Award for Best Architecture Under 1000m² for the Temple; architects Brian MacKay-Lyons and Omar Gandhi; and critic Alex Bozikovic. 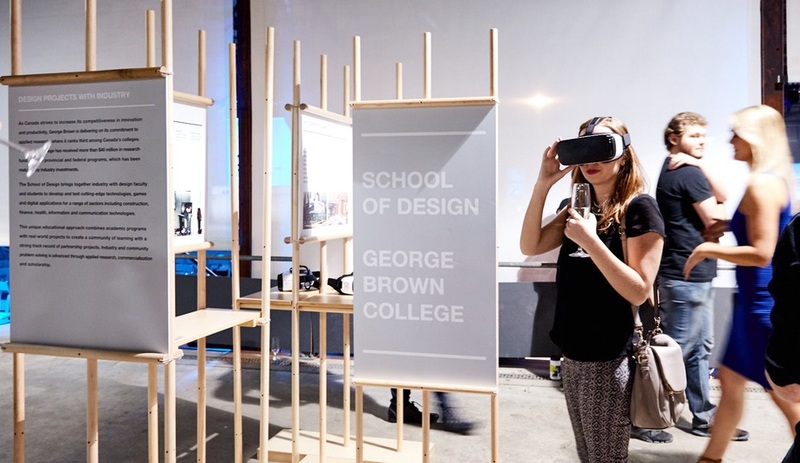 George Brown College wowed guests with virtual reality scenes delivered via Oculus Rift. Guests enjoy a lounge area furnished with items from Keilhauer's Wheels collection. 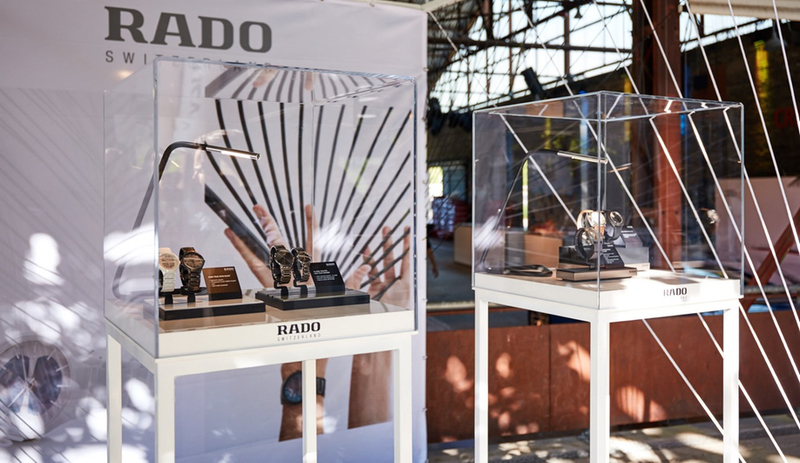 Rado’s "Lightness" installation by Three Design showcased the latest innovations from the high-tech Swiss watchmaker. As the evening drew to a close, a reprise performance of Castor's interactive installation lit up the night. 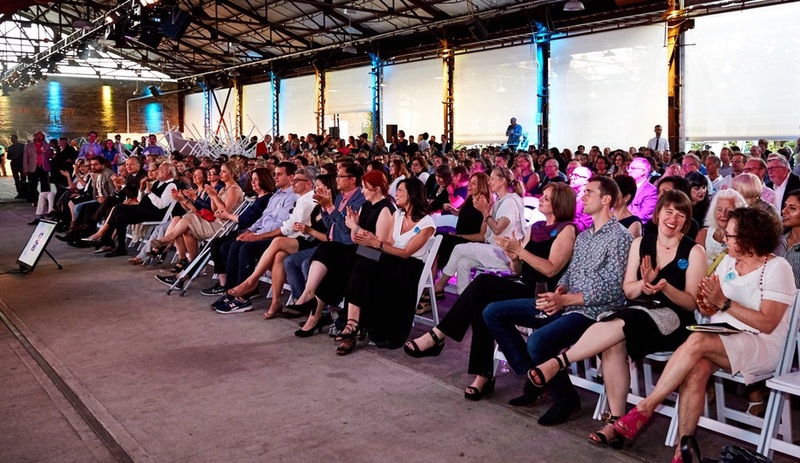 On June 17, Azure honoured the winners of the 2016 AZ Awards at a lavish gala at Toronto’s Evergreen Brick Works. Here are just a few of the evening’s highlights. 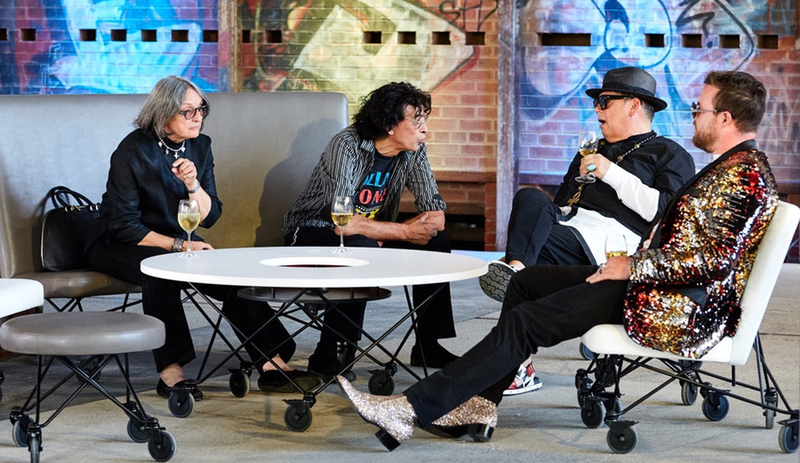 The sun was out, and so were the stars – the stars of the architecture and design scene, that is. 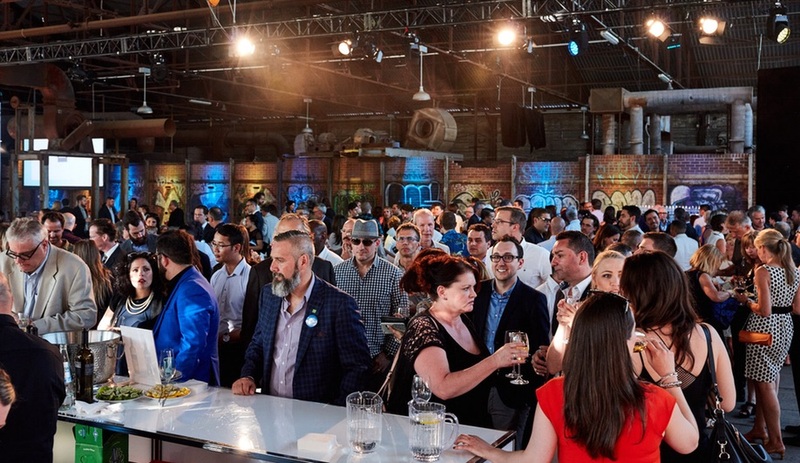 Hundreds of industry notables flooded the Evergreen Brick Works to celebrate as Azure handed out 18 trophies in recognition of their achievements. Beautiful weather attended the crowd’s arrival, setting the perfect scene for a little pre-ceremony revelry. 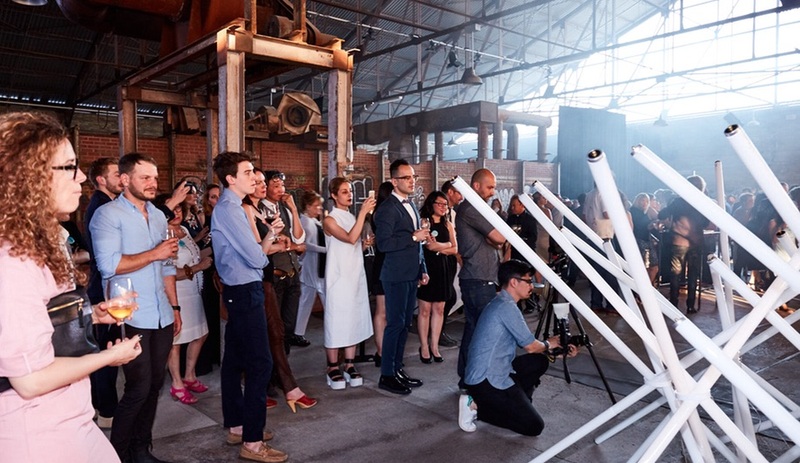 Guests came from as far as China, Belgium and Austria in the hopes of claiming one of this year’s trophies, which were designed by Omer Arbel of Bocci. 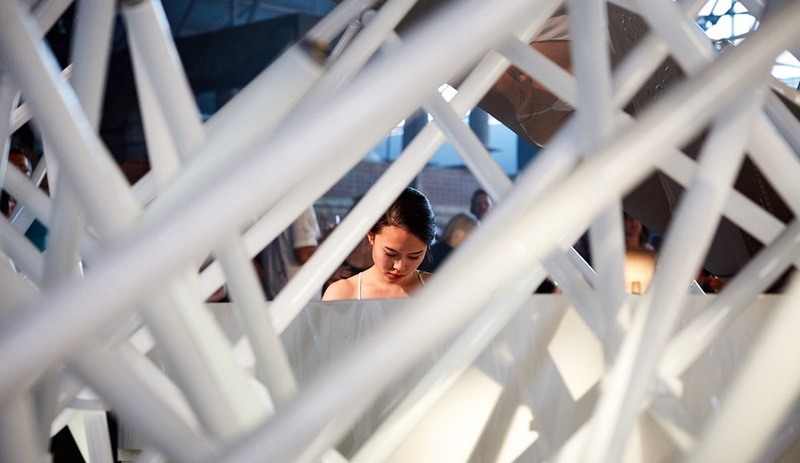 The prelude and postlude of the ceremony were live piano performances incorporated into a large-scale sculpture by Toronto’s Castor. 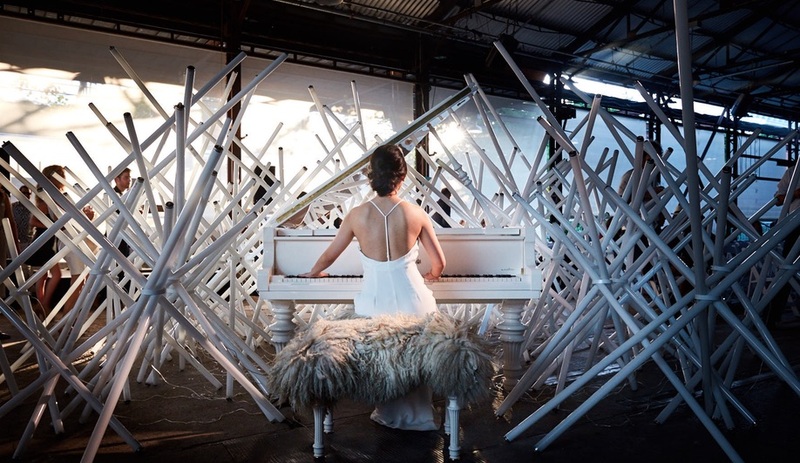 The all-white piano was nestled inside a fragile barricade-like array of hundreds of fluorescent light tubes; using the same wireless induction that brings a Tesla coil to life, the tubes were individually lit to respond to sounds from the piano, resulting in a unique and ethereal interactive performance. 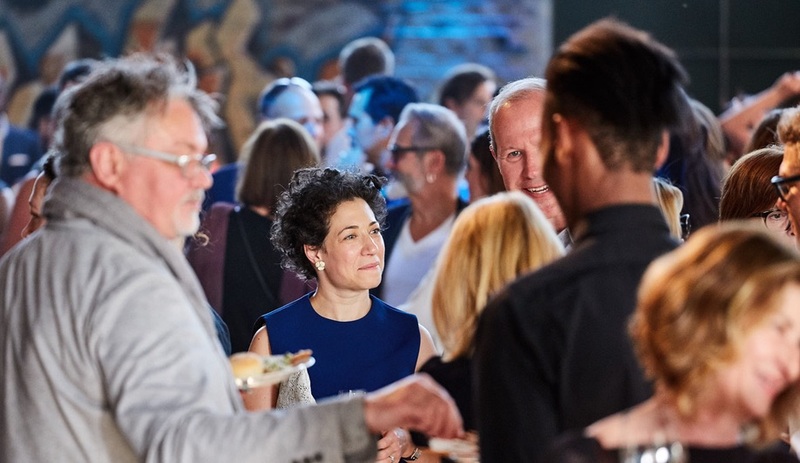 No celebration would be complete without food and drink flowing freely, and gala guests enjoyed Italian fare from Sud Forno and wines from Stratus. 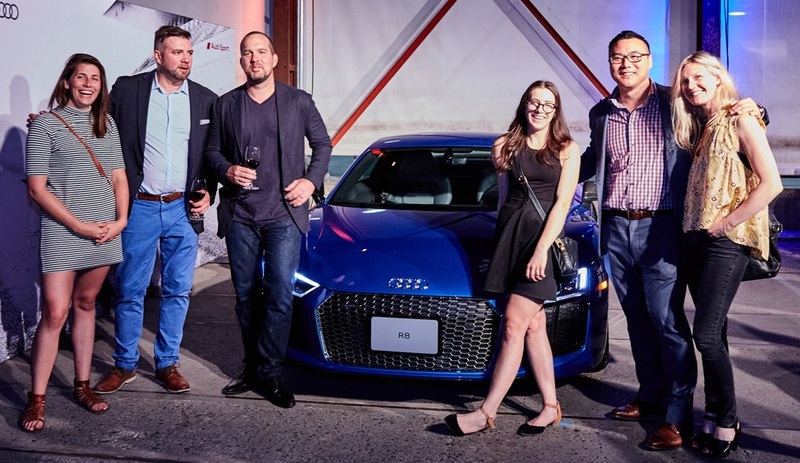 There was plenty to see, too, with installations from the AZ Awards’ presenting partners: displays of Rado’s latest watches, Keilhauer’s Wheels collection of office furnishings, and a sleek new R8 V10 and RS7 from Audi. A caricature artist was on hand to entertain guests by rendering them on slabs of Dekton surfacing from Cosentino. 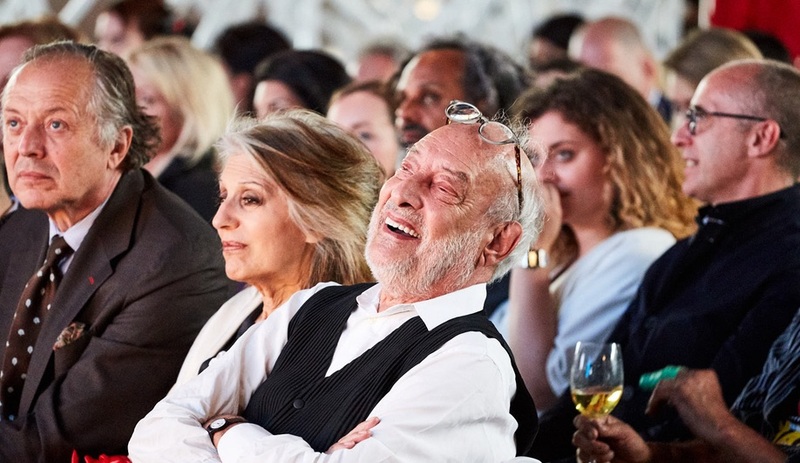 After a ceremony hosted by writer Ian Brown of the Globe and Mail, and featuring a special address from guest of honour Gaetano Pesce, guests danced into the night. 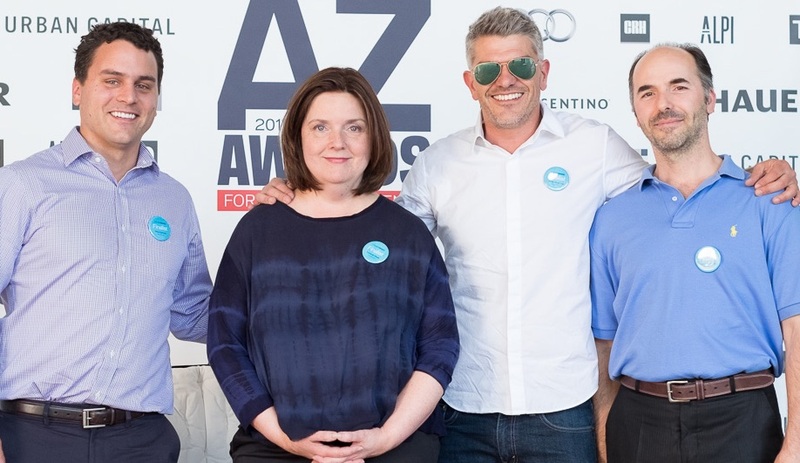 You can find a full list of this year’s award winners here, or check out Azure’s July / August issue – out now – for full profiles of the 18 AZ Award winners, and 48 awards of merit. 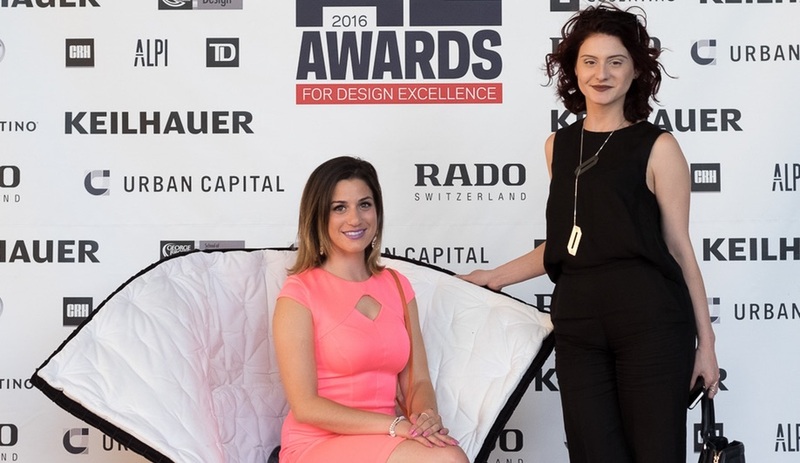 The 2016 AZ AWARDS is presented by Audi, Keilhauer and Rado, and sponsored by Cosentino, Urban Capital, TD Bank Group, George Brown School of Design, Alpi and CRH Canada Group.